Warning: Heavy Spoiler Content for an anime that hasn’t even been released yet. So the announcement for the new anime season for Tokyo Ghoul came out not too long ago. Scheduled for 2018, Tokyo Ghoul ;re is set to follow after the second season (Tokyo Ghoul Root A) which was arguably wrecked by the anime. The anime had taken several liberties that explicitly went against the original source content: the manga itself. This resulted in a story that seemed to have a lot of loopholes and gaps that the anime didn’t really bother explaining- possibly because it squeezed in a lot of content into short episodes. I could go into details about how much the anime and manga differs, but today’s post isn’t about that. However, if you are interested in knowing some of the differences, you can watch this Youtube video instead. Even while watching the trailer, I feel like the art style doesn’t really capture the beauty of the manga illustrations. Sui Ishida’s art has dramatically improved between the first chapter of Tokyo Ghoul to the latest chapter of Tokyo Ghoul ;re. I sincerely hope this new improved style makes it’s way into the new anime season. I don’t think I would be able to watch the anime without laughing if they continue portraying Arima with his Dorito chin. Okay, so I’ve been keeping up with the manga fairly well. I do occasionally read the new chapter as soon as it is available, but most of the time I let the chapters pile up a bit and then read all of them together. Since it currently seems like the manga is nearing it’s end (people are speculating that Tokyo Ghoul may end up being a trilogy manga), I thought it would be a nice time to sit down and reflect over the story a bit. There were several moments in the manga where I felt like the narration, the plot, sometimes even the characters were underwhelming. I often caught myself thinking “this could have been done better”, but of course, the author must have had the best possible route in mind when planning and drawing the manga. Then again, Tokyo Ghoul seems to focus heavily on parallels and following set molds left behind by predecessors- which is becoming quite apparent with how Tokyo Ghoul ;re seems to be following in the same narration footsteps as Tokyo Ghoul. Nevertheless, there were still better ways some things could have been done and I’m here to explain my opinions. For simplicity’s sake, we will now refer to Tokyo Ghoul as TG and Tokyo Ghoul ;re as ;re and both of these refer to the manga. Okay now before some of you start yelling at me, let me state some facts. First of all, at the end of Root A, Hide is shown to be quite obviously dead. In TG, Hide’s end is left vague and open ended and only in the recent chapters has Hide made a reappearance. Hooray, he is not dead. I’m glad he is not dead, but I really do not like the way that he went under the radar for so long and decided to reappear with little to no explanation about what he was up to. For me, Hide seemed to be the balanced view, neutral view of how the plot was progressing. At one side, you had the ghoul narrative, on the other side you had the CCG kill-all-ghouls narrative. We didn’t really get a character who was just a normal human, living a normal life and looking at these two factions from a third party perspective. Out of the entire cast of TG, Hide was the one main character who stood between these two narratives and was sharp enough to pick up information and make his own conclusions as to what was happening. 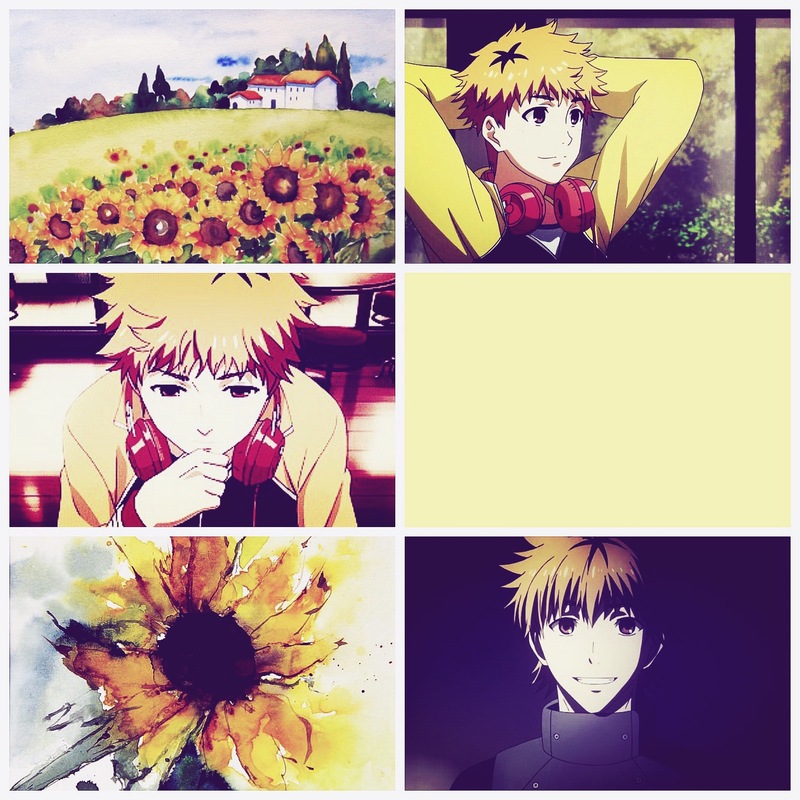 Fast forward to ;re, where Hide is no longer there. We now have just the CCG side of the story. There is no one to replace Hide. We don’t know what’s happening in the general human society- all the story tells us is what’s happening in the CCG, their skirmishes and operations against ghouls and then the occasional ghoul taking the reigns. I want to know what the average human is thinking when they see things on the news. There are moments in the manga where it feels like human society is thrown into pandemonium with what’s going on, but we never get to see it. There is a point in the manga where there are child soldiers of the CCG freely running around the streets of Tokyo and stabbing ghouls straight out of the blue. These are ghouls who are living well adjusted in human society. Imagine living in a place where you don’t know who is a ghoul and who isn’t, and there are child soldiers randomly attacking your next door neighbor or the newspaper boy, claiming he’s a ghoul. At this rate, potential murderers get a free pass! Hey, just pick up a baseball bat and crush the skulls of whoever you have a vendetta against, because you thought they were a ghoul and you were defending yourself. There is literally no counter argument, it’s a free for all. Think of all the paranoia and panic that must have been happening with this organized, systematic genocide. If that makes you feel kind of sick, that’s okay. We don’t get to see anything like that happen in the manga. If I could change something about Tokyo Ghoul, I would keep Hide around or at least introduce a character to take his place properly and let us see what is going on in the story outside of the two clashing forces. Touka is a really controversial character (not in the manga, but purely in the fandom). A lot of people love her, a lot of people hate her. I personally don’t really have any particular like/dislike for this character, but I have to agree that she could have been written better. 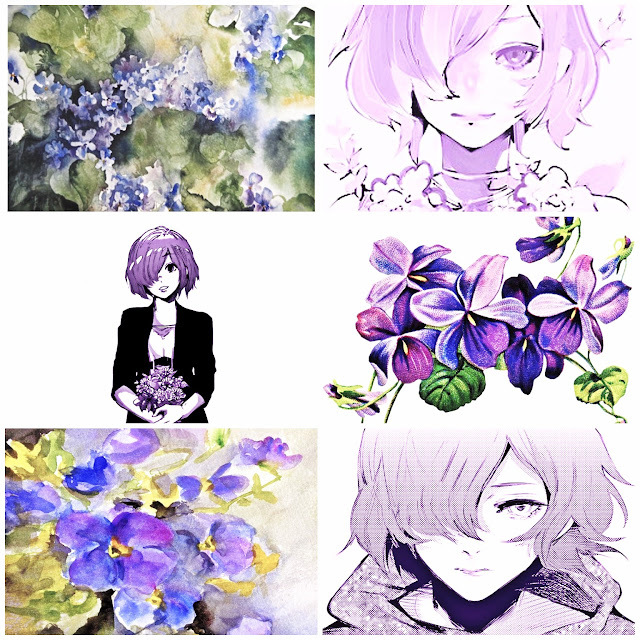 From the start of the manga, Touka has been somewhat implied to be the love interest of the main character (Kaneki Ken). I say somewhat implied, because in TG, they seem to be more friends than anything else (and also I feel like Kaneki has had his trust in women shattered after, oh idk, having the first you girl date turn out to be bent on killing you horrifically and eating you?). I’m not saying that Kaneki has NO feelings for her. But that they’re just not very obvious in TG. In ;re however, Kaneki’s new personality- Sasaki Haise- handcrafted by Arima Kishou himself, meets Touka and realizes that there is something about her that is/was important to him. I personally feel like the Sasaki Haise/ Touka Kirishima dynamic was much more better albeit tragic than the current Kaneki Ken/ Touka Kirishima dynamic. We’re going to talk about why. First of all, Kaneki’s personality is built a lot on abuse. His mother was abusive and as a result, Kaneki seems to have this mentality that if he’s being hurt, it’s okay, as long as the people around him are safe. He has basically normalized violence directed towards himself. Just because he thinks it’s okay though, doesn’t mean it’s okay. His entire character development rotates around violence directed at him- from Rize to Yamori. These are people who actively sought to harm him. During TG, there would be moments when Touka would hit Kaneki, to the point where it became a bit of a joke- or the punch line of the manga. Later in ;re, they are officially a couple (actually, they’re married), and still Touka hits him for the apparent comedic effect. Listen. This is not okay. There are people out there in the fandom who are like “Oh, but Touka is a girl, so she can hit Kaneki, this is not domestic violence or abuse-” NO. Gender doesn’t- shouldn’t change the guidelines as to what is abuse and what isn’t. Touka hits without restraint and Kaneki takes it because that’s how he’s always been treated- because he doesn’t know any better. If I could change Tokyo Ghoul, I would give Touka some decent character development. Touka was initially a really good character- she went to school and wanted to apply for university, she was strong and was really good at fighting. In ;re, it seems that she has permanently dropped out of school to run a new cafe, the sole purpose of which is to be a place Kaneki can come back to. What happened to the strong independent Touka of the past? I would have liked seeing her study and do something with her life instead of sitting around and restarting Anteiku. I would have also liked to see her mature as a person- a lot of the marriage/ship development between her and Kaneki is very strange. You would think that being a child of two ghouls who were both killed by the CCG, she would be a little more careful about getting pregnant during a time of war and genocide, where she can’t even guarantee her own safety (and in fact, jeopardizes it by being pregnant and eating human food) let alone the safety of a baby. Some people are of the thought that perhaps she is pretending to be pregnant to bind Kaneki to herself (because it was after Kaneki found out she was pregnant that they got married), but I’m not really sure. I just feel like it was a very foolish move and has only served to crippled Touka even more. But hey, at least Kaneki is happy, canonically. Although I am quite sure this will only be used against him to create more “pain-development”. I don’t really have any favorite characters in Tokyo Ghoul, but I’m quite favorable towards Eto. First of all, she reminds me a lot of my cousin for some reason (I guess it’s because they’re both kinda weird? haha no offense, I still love you I guess…). Eto is basically this super over-powered character who is thought to be the fated One Eyed King (but I guess she isn’t). However, the reason I like her isn’t because she’s over-powered- it’s because she uses something other than brute strength to get to her goals. 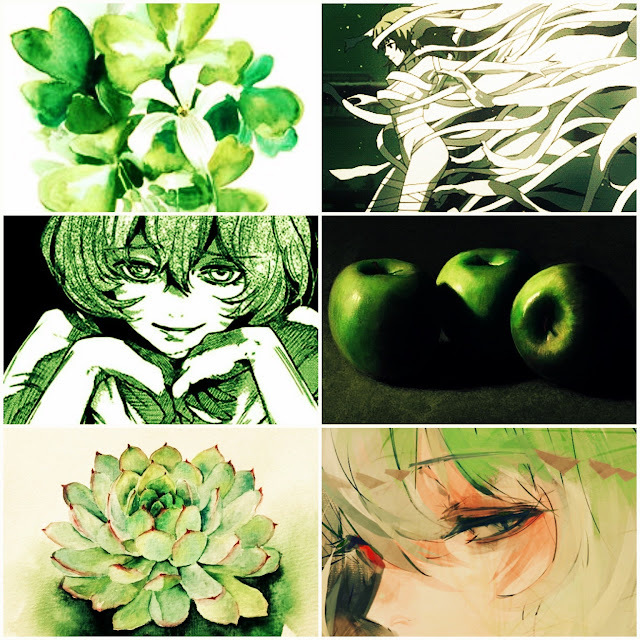 Eto is a popular novel writer. She has written several novels before the course of the manga and writes one during ;re. Her novels are read everywhere and she shows up to book signings and talks with her fans and everything- under her pen name, Takatsuki Sen. She builds up a large fan following and that’s how she gets the ball rolling. Eto uses her last book, King Bileygr to poke holes in the CCG, creating the idea that the CCG might be run by ghouls at it’s core. This causes many investigators in the CCG to start questioning their organization and helps fuel an internal rebellion. You think that’s all she did? Eto also got captured by the CCG, but before they can confirm that she really is a ghoul (and thus lock her up), Eto manages to hold a press conference and reveals herself as a ghoul publicly. This results in a large outcry from the human public where some folk finally start talking about ghoul rights and whether ghouls should really be wiped out the way the CCG were doing things. Refer to point one again though, because we never really get to see what happened to this ghoul rights movement. So yeah, I really really like the way Eto was used here to create ripples and friction in the CCG and to finally show the general public that ghouls are intelligent creatures who can also contribute to society. However, it seems her role ends there. Eto is locked up in a ghoul prison. There is a prison break later, but Eto (the overpowered one-eyed owl, the terrifying ghoul monster) gets defeated by a slimy Fruit worm? I expected much more from Eto. To have her, the most powerful ghoul, defeated by Furuta was so underwhelming. I’m still hoping that Eto isn’t actually dead, but has actually escaped into the sewers down to the 24th Ward and will show up sometime soon. Another thing about Eto is that her main ideology was basically giving the world a “factory reset”, by essentially destroying everything and thus leading to a creation of a better place for ghouls. That sounds a LOT like some Ultron-esque ideology to me. I never really understood what exactly she thought she would be able to achieve. I mean, yes, she is really good at destroying things, people, dreams, and resetting them to follow her path, but like. I don’t know man. I just feel like Eto should have been allowed to do more than just act like the villain. Something else that also kind of bothers me is how the title of the One Eyed King, savior of ghouls, always tends to be a ghoul murderer. First, Eto was considered the king. The reason why Eto is over-powered is not only because she is the perfect half-ghoul, but also because she cannibalized other ghouls (ie, she killed them and ate them, so yeah, that sounds like solid grounds for murderer). The next, true King is Arima Kishou, titled the CCG’s Reaper because you know, he killed a bunch of ghouls and whoever fights him doesn’t really get to escape and live. And then it turns out at that Eto and Arima were in cahoots to make Kaneki the King and Kaneki is also a serial ghoul killer who cannibalizes in an attempt to gain the same kind of power Eto has. Half ghouls who kill ghouls, crowned king and savior of ghouls. Kind of awful, don’t you think? I have no idea how the “King” can proclaim themselves to be a savior when they have no problem feeding off their own kind- who they are supposed to be saving- for self gain (although arguably, Arima is an exception). This post seems to have gotten very very long! I have only gotten through half of my points… I think I will do the rest in another post, because boy oh boy, I am not done yet. I am not done at all. I have been heavily invested in this manga and I have a lot of salt when it comes to how some of the characters have been treated/used as well as the general pacing of things and nobody can stop me from writing out my grievances on my own blog. What is your favorite manga/anime? I’m always ready to try out something new! In fact, if you want me to write more stuff like this, let me know in the comments or tweet it at me! Have a nice day! I do not like the Dorito chin D: Honestly it makes the guy look like a completely different character. Based on what I've read (I didn't read it all because I don't want to spoil everything for myself) I think this is one of those sad cases where you really enjoy something flawed and you love it but the flaws get on your nerves.